Even though I haven't been posting I've been reading. Since the last post I've finished Steelheart by Brandon Sanderson, The Silent Wife by A. Harrison, Wisp of a Thing by Alex Bledsoe, Brilliance by Marcus Sakey, The Grand Sophy by Georgette Heyer, The Signature of All Things by Elizabeth Gilbert, The Chance by Robyn Carr, With Autumn's Return by Amanda Cabot, The Sentinels of Andersonville, by Tracy Groot, Runner by Patrick Lee, Reality Boy by A.S. King, The Accidental Highwayman by Ben Tripp, and The Anxiety of Kalix the Werewolf by Martin Millar. Running out of battery right now so I'll talk about these later. 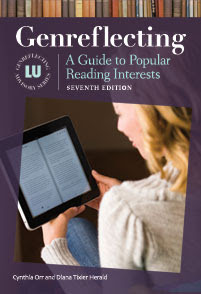 Definitely some worthwhile and entertaining reads. Quick run down on the aforementioned -- Steelheart. It's by Brandon Sanderson. Ok, even though for folks who've read his books before that was enough to make them want it, I'll elaborate just a little for those new to to him. When people with super powers turn up some folks think that super heroes will appear. Unfortunately those with powers turn into super villains, ruling ordinary people but a boy whose father was killed in a bank by one of these supernatural characters joins up with a secret army intent on saving humanity. 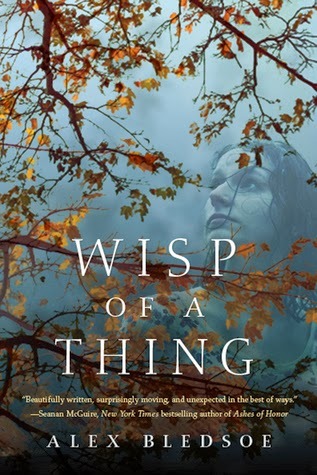 Wisp of a Thing, Alex Bledsoe's second novel depicting the Tufa people of the Smokey Mountains, takes a bereaved musical star into their midst in search of a lost song who finds a mystery among magical, mythical folks. 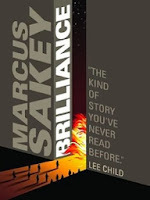 Marcus Sakey's Brilliance, is an entertaining read set in a world that diverged from ours when people with extraordinary gifts began to be born in the 1980s. Our hero is the divorced dad of one normal and one "abnormal" child. He works for the government agency that keeps the gifted in check and uncovers an unpleasant truth about the boarding schools gifted children are sent to. Going undercover to catch gifted terrorists, he discovers more than he bargained for. 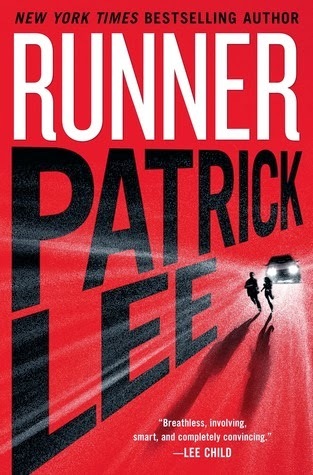 Patrick Lee is the first in the Sam Dryden series coming from Minotaur in February. Sam, a formerly military special ops, is not doing too well trying to survive the emotional wallop of his wife's death. Out running one night he is run into by Rachel, a twelve-year-old girl who has a murderous assassination team on her tail. This fast paced thriller is a great combination of action and suspense. 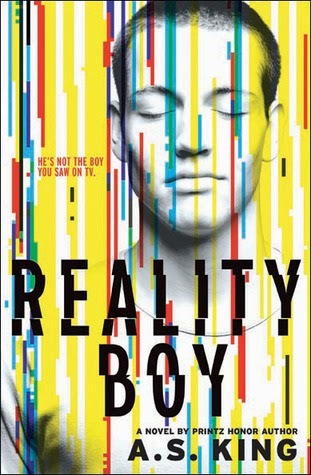 Reality Boy by A.S. King has been getting lots of well deserved attention. The protagonist is bedeviled by his past when, at age five, he was dubbed "The Crapper" because of his propensity to defecate in inappropriate places when he was on a reality show about dysfunctional families. His family is definitely dysfunctional, everyone made miserable by his seriously psychopathic sister who lives in the basement and basically holds the family hostage to her anger. 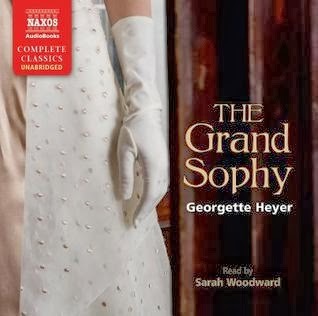 The Grand Sophy is grand indeed. It is one of Heyer's books that I had missed when reading every book of hers I could find in the 1970s and 80s so I was doubly glad to find it. 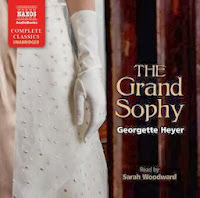 Heyer's books are always a treat and a comfort read with her feisty heroines and witty repartee. I was pleasantly surprised by The Signature of All Things by Elizabeth Gilbert. I liked historical details and the botanical information but the characters weren't all that appealing and it dragged on toward the end. The Accidental Highwayman by Ben Tripp, a forthcoming book from Tor Teen is a delightful romp featuring wonderful characters, rip-roaring adventure, and a lovely blend of faerie fantasy and young love. Read my review of The Chance by Robyn Carr, With Autumn's Return by Amanda Cabot, The Sentinels of Andersonville, by Tracy Groot, and The Anxiety of Kalix the Werewolf by Martin Millar in Booklist.